Stacy Cox and Nandana Kandabadage pictured holding their awards in center with the Turks and Caicos delegation in Miami. 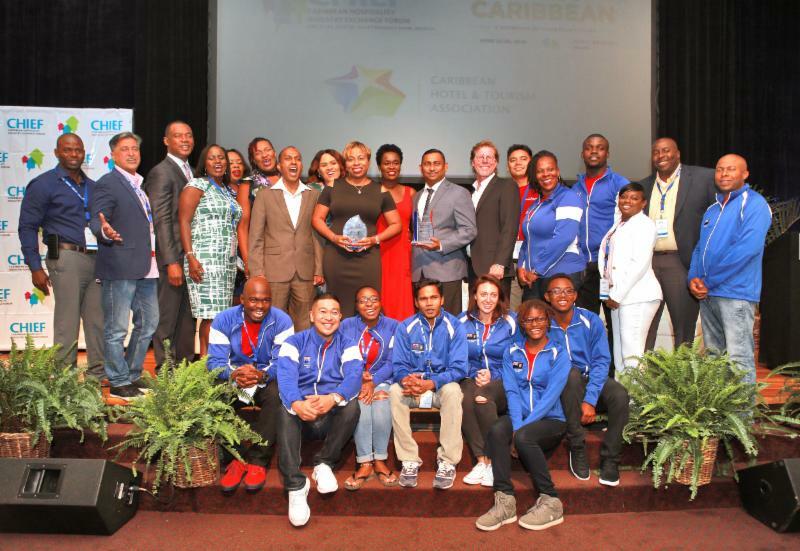 MIAMI (July 5, 2018) - Tourism representatives from Turks and Caicos Islands captured two of four Caribbean Hotel and Tourism Association (CHTA) tourism industry awards at the opening of the fourth Caribbean Hospitality Industry Exchange Forum (CHIEF) in Miami last month. 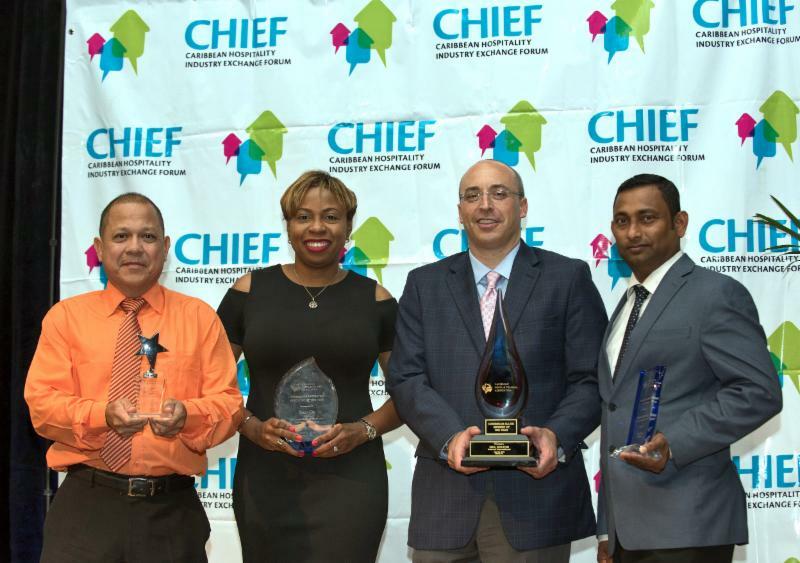 In winners' row (from left): Harold Rasjmin, Stacy Cox, Neil Kolton and Nandana Kandabadage at CHIEF's Industry Awards in Miami.